Bleachers have surprised fans will a fully reworked version of their 2014 debut album, Strange Desire, featuring all female vocalists—one for each track on the album. 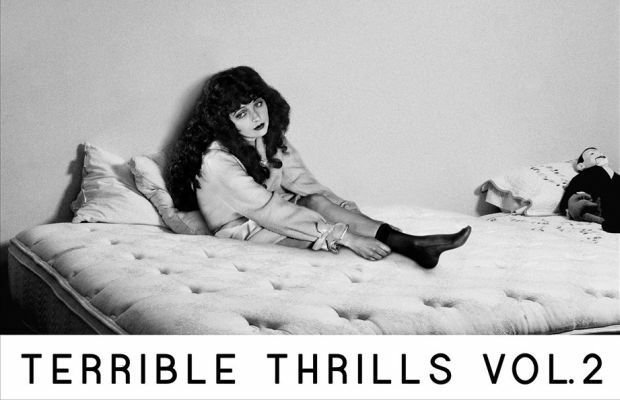 Lending their talents to the album, titled Terrible Thrills Vol. 2, are Sia, Carly Rae Jepsen, Charli XCX, Sara Bareilles, MØ and several other notable artists who have helped Jack Antonoff breathe new life into these songs. Below, you can find a lengthy statement from the Bleachers mastermind explaining the ideas behind this project and everything it took to complete it. The track and guest vocalists listing is available below as well. Embedding the tracks has been disabled so you can listen to the reimagined album in full on YouTube or download it for free right here. i love female voices. i wish i had one. when i write songs i typically hear things in a female voice and then match it an octave lower so i can hit the notes. that's why so many bleachers' songs are sung so low. i could change the key but i like things sounding like a male version of what in my head was a female-sung song. I've always written this way. so with that in mind i wanted to release a version of my record that spoke to how it was written and the ways i originally heard it in my head before i recorded and sang it. i think it's important for people to know where the songs come from and why the songs come out sounding the way they do. i hear my music as my interpretation of a song I'm writing as a female in my head, so i wanted to make that a reality with the artists who inspire me to write in the first place. i first had this specific idea 6 years ago when i was making the 3rd steel train album. that's why this is volume 2 — because volume 1 happened for the self titled steel train album. the “terrible thrills” concept is something i see being a thread through different bands and projects i do. its non specific to any band or record – it's just speaks to the way i hear music. i think every record I make should have a female companion record to go with it. the process making this was all over the place. some artists fully recorded and recreated the versions, some i worked with them on. the collection is completely bizarre thing for me to listen to because it feels so personal as to how i write. it feels like the part of my process that I'm suppose to keep to myself or something and hearing it in headphones is utterly strange and wonderful.